I’ve been working on, call it a project, imagery that is not perfect in some way, shape or form. Maybe it’s not tack sharp or even just flat out of focus. Something could be cut off. Perhaps there are other blemishes like the lack of water clarity in the image below. I’ve found that so much imagery these days is perfectly sharp and often so from foreground to background. It comes down to, for me at least, embracing the flaws and in some way how light and composition can supersede those flaws and illicit an emotional reaction from the viewer. 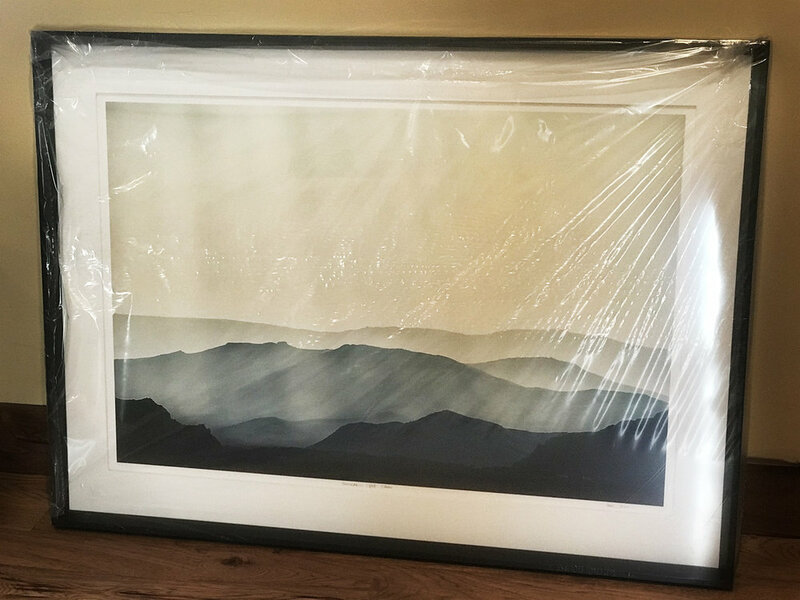 Always excited to pick up a print from my framer. This one is titled, Atmospheric Light, and was shot not too far from Mackay, Idaho on a smoky summer day. It’s off to a home in Idaho. I have printed this image as large as 36” x 54”. I just got back from a trip down to New Zealand’s South Island. If there’s anywhere in the world that represents my happy place, it’s New Zealand. The people constantly blow me away with their kindness, sincerity, and self-effacing humor. It’s the land of 40 million sheep and only 4 million people. Roughly 75% of the total (human) population lives on the North Island. It goes without saying, that New Zealand is also absolutely stunning. Mt Cook (12,218 feet) essentially rises up from sea level. That’s nearly twice the relief of our highest point in Idaho. It’s green. Super green in many places. There’s wine country. Glaciers. The rivers vary from tiny spring creeks, dry and windy Canterbury freestones, to wild blue-green glacial fed rivers. There’s a huge variety. The fishing is the icing on the cake and the South Island is without a doubt my favorite place to trout fish. The fish population is not high by North American standards. The browns can be very, very wary. The brown trout can also exceed 12 plus pounds. 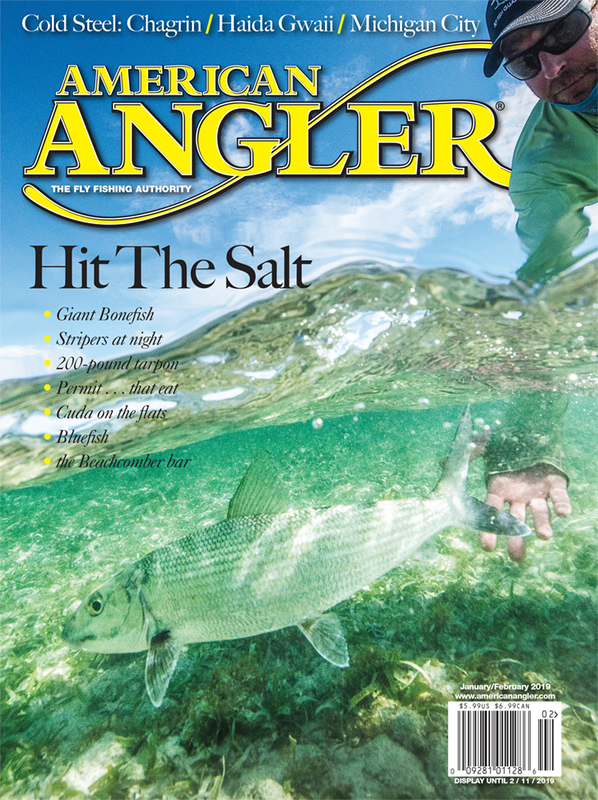 If there’s a problem—besides the sand flies—just knowing the fish get so big can set unrealistic expectations. Couple that with the fact that many South Island watersheds don’t have consistent prolific hatches like we do in the West. Sure there are mayflies and caddis but not to the extent that one can expect to see rising fish on any given river on any given day. My advice to anyone, this really applies to fishing anywhere, is to first really appreciate who you’re with and where you are. I’ve found that if you truly appreciate both of these these things then the fish will often follow. Scott Murray seconds before landing a nice South Island brown. 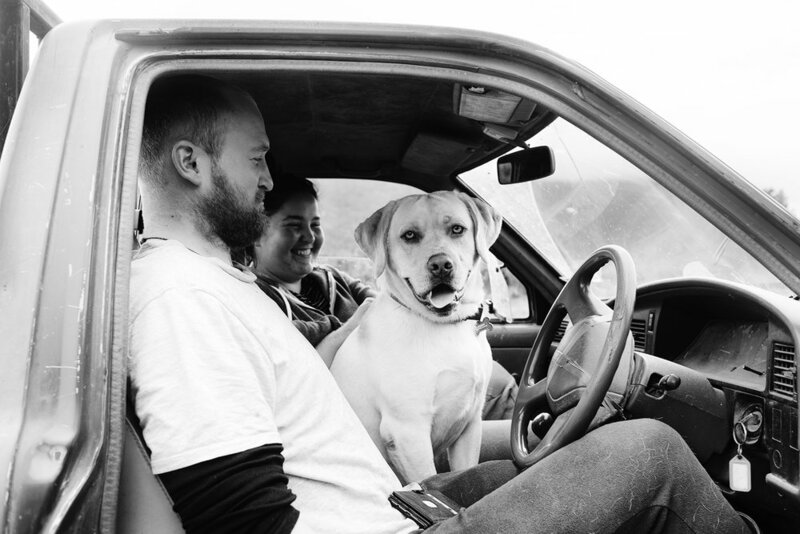 Scott is the co-owner of River Haven Lodge located near Murchison on the South Island. I was fortunate to have just spent 7 days on the water with Scotty where there were plenty of shenanigans and nonsense. As a guide myself, I cannot say how much I’ve learned from fishing with Scotty over the years. Will Price crosses a Fiordland river. 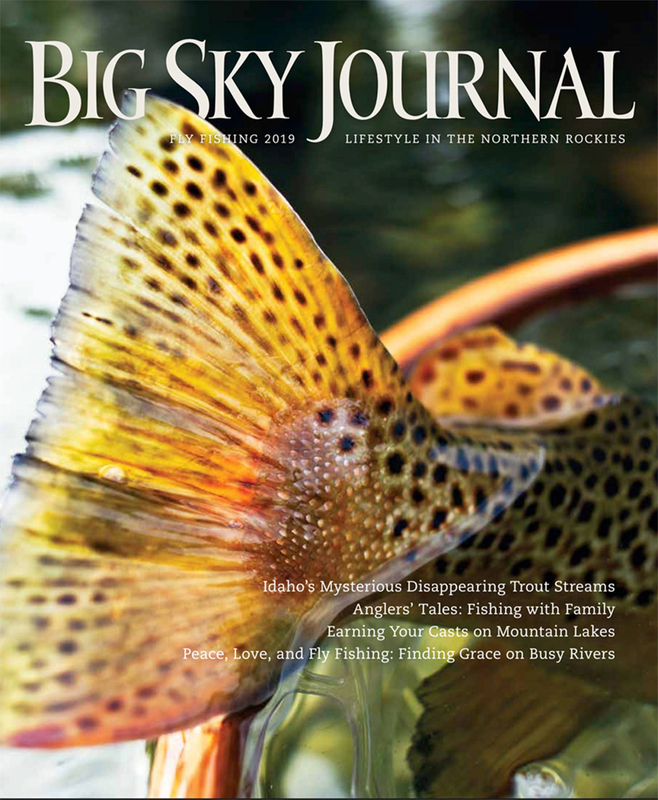 Excited to have the photography in a featured piece written by John Huber in the current fly fishing issue of Big Sky Journal along with the cover image. 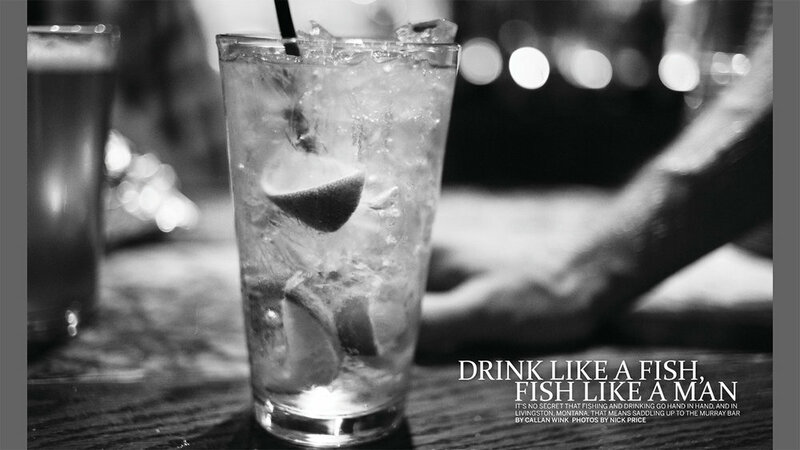 To see more, check out Big Sky Journal. I just returned from a trip down to Argentina and Chile. I have many images to sort through and edit but I find the images I’m most interested in seeing when I get home are the images I take of people. Gaucho near Aluminé, Argentina. He was in his Sunday best and was cooking a lamb over an open fire and coals when I took this shot. Our snowpack has steadily gone up over the last two days and it appears we will be in this cycle for at least the next week. I expect to see the Big Wood basin snowpack to get over 100% of average in the next day or two which is great for a variety of reasons. A winter sunset on Silver Creek. Really nice to see more snow! Pretty lucky to have this in the back yard… Thanks to the Wood River Land Trust for making it happen. Public access is a treasure. Let’s not loose it! 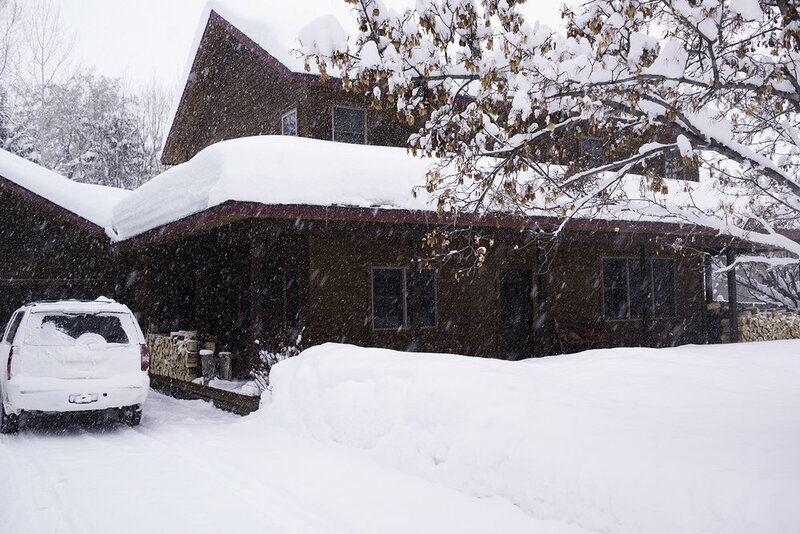 Finally some more snow here in the Sun Valley area! Christian Reid on a Big Wood River side channel yesterday. Valldemossa, a magical small town on the island of Mallorca is a treasure. 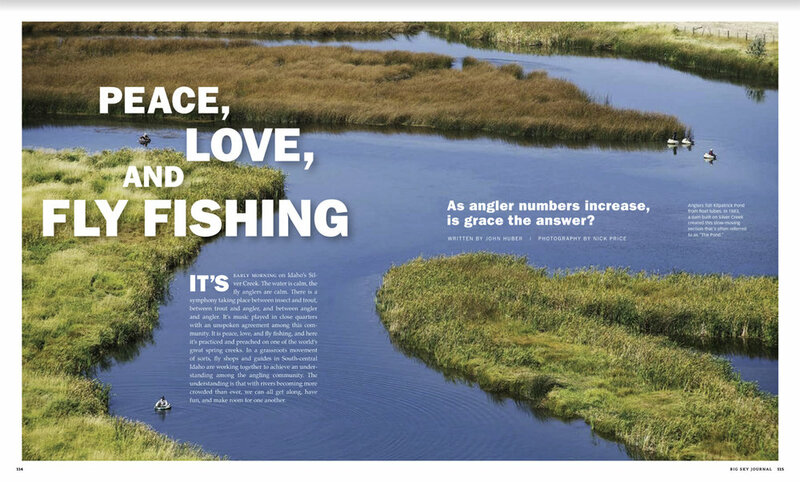 I’m excited to have a few images and a short written piece in the new issue of Anglers Journal. The third image below is not mine but the written piece is. The Malleo River on a stunning fall day. Argentina. 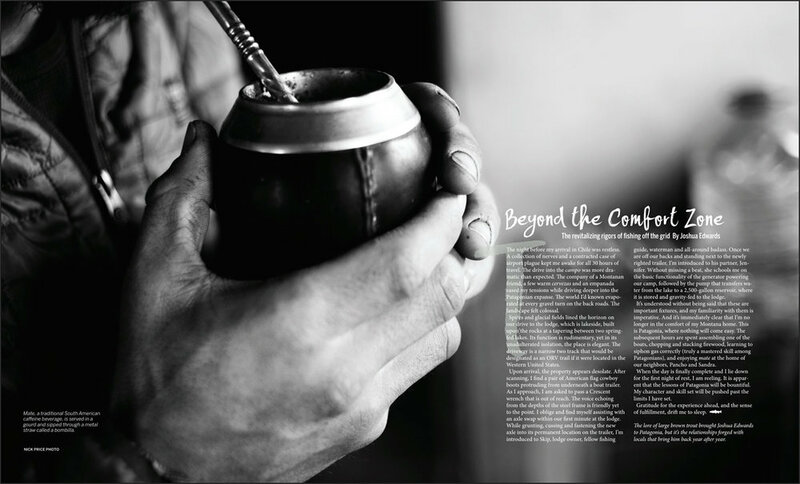 Sebastian Salas, a fly fishing guide at Los Torreones Lodge, drinks mate. Chilean Patagonia. A few images from yesterday on the Wood. The water is incredibly clear this time of year, not to mention cold… I forgot to change the aperture on the second shot below and accidentally left the shutter open long enough to get motion blur with the fish. 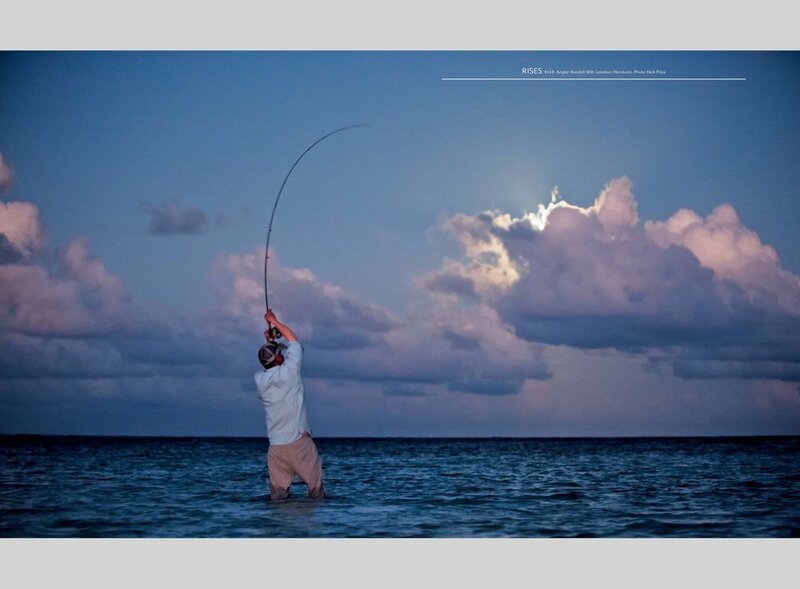 Ryan Schmidt, pictured below, releases a nice Faraway Cayes bonefish. The flats out there extend for miles and miles. 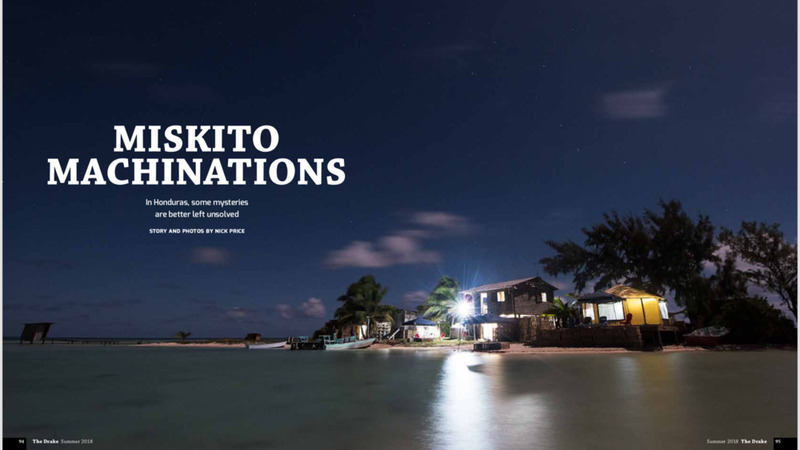 Ryan, a Colorado fly fishing guide, was the chef out at Faraway Cay last year while I was there. He was always game to get out on the water and I’m excited to have this image of him on the cover. $3,000 for the set of 3 16” x 24” Damselfly Take Prints. Free ground shipping as well shipping Through Dec 22nd. for inquiries, contact Nick. This is, unfortunately, not a trip I will be on (I’ll be in New Zealand).